Santa Pictures at The Purple Peanut! Santa Claus is coming to town and his first stop is The Purple Peanut! Sign ups start at The Purple Peanut TOMORROW (Thursday, September 19th) and are sure to fly out the door. 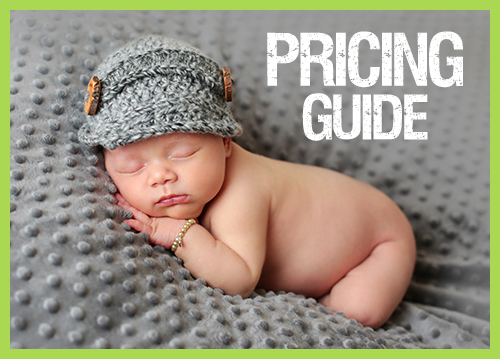 A very limited number of ten minute time slots are available so don’t delay! Three collections will be available for this event and each one includes a disc of your finished images (5-10 total), starting at just $50. 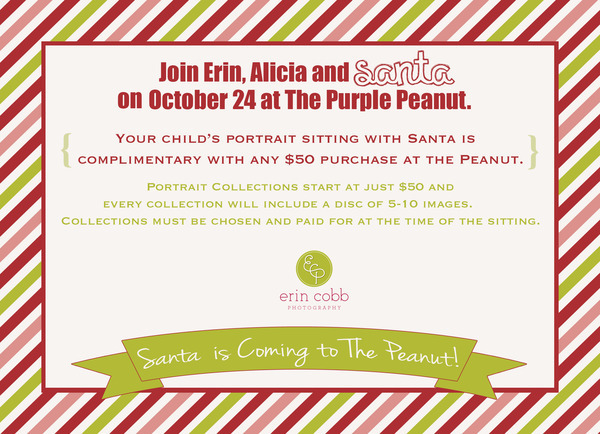 This is pretty unheard of for Erin Cobb Photography but goes to show just how much we love The Purple Peanut, Miss Alicia, and her customers! 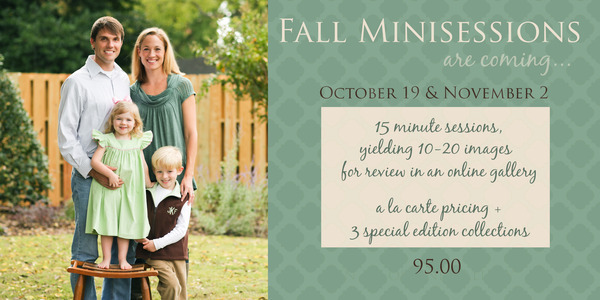 In other news, a handful of Fall Minisessions are still available as well. These sessions are much more suited to updated family portraits, Christmas card images, and pieces of personal art that can be displayed year round. The dates are October 19th and November 2nd. Get in touch today to grab your spot!